An extraordinary experience at Big Bend National Park. Enjoy the incredible beauty of the Rio Grande. Majestic mountains, beautiful riverscapes, and stark desert views. Experience the vibrant art culture in the small West Texas town of Marfa, and explore the night sky with experts from the famed McDonald Observatory at an evening star party. If that sounds awesome, it's all in addition to the extraordinary hiking and friendships you'll find along the way. Of course, if you're excited to catch up on some reading or catch a few extra zzzs, that's fine too. Choose as much or as little adventure as you want! 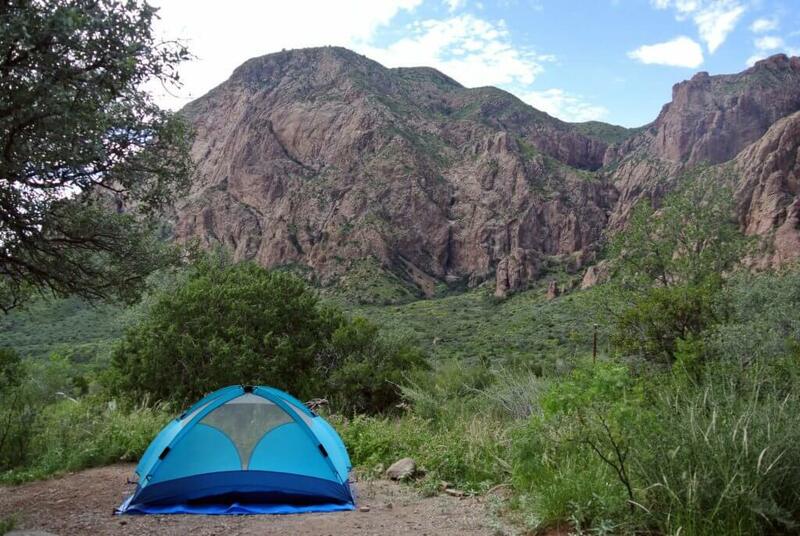 Chisos Basin Campground, perched high in the rugged Chisos Mountains, is one of the most sought-after campgrounds in Big Bend National Park. At an altitude of 5,400 ft., the campground is surrounded on all sides by tall, rocky cliffs and is conveniently located near some of the park’s most spectacular and popular trails. 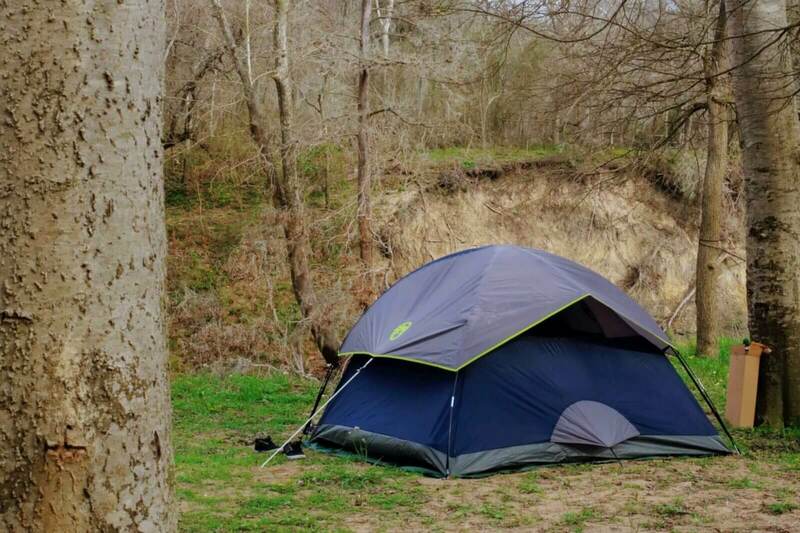 This campground offers excellent views and mild temperatures. Also found in the Chisos Basin area is the Chisos Basin Visitor Center, the General Store and the Chisos Mountains Lodge, which houses the only restaurant in Big Bend National Park. Enjoy the comfort of a premium coach as we set out at 8:30a from Austin towards Big Bend National Park. We’ll stop for a picnic lunch (as well as on-the-road snacks) on the way, and arrive at Chisos Basin Campground with enough daylight to set up camp, and take an optional short hike to Window View Trail. Then settle in with new friends for dinner and a relaxing campfire. After a hearty breakfast, the park is yours to explore. If self exploration is your thing, grab a buddy and hit the trails. 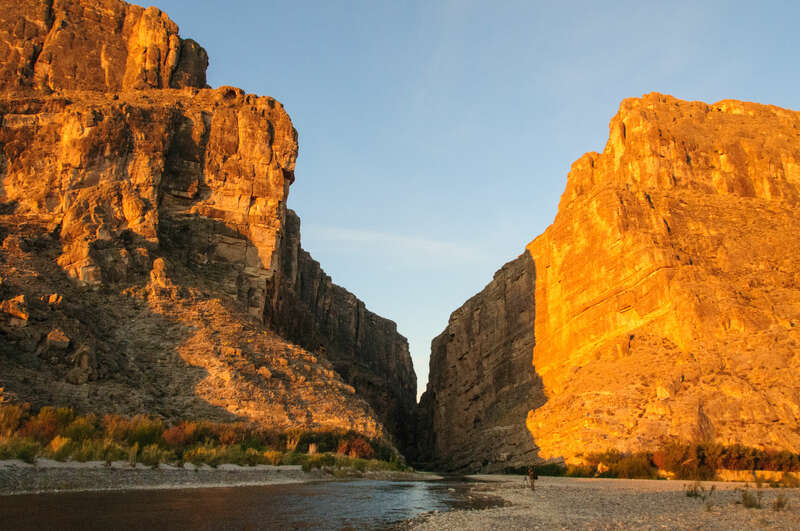 With mountain, desert, and river hikes, Big Bend has everything for your hiking appetite. Want to see the famed Ross Maxwell Scenic Drive? Set out on a driving tour through the park with fantastic views of the Chihuahuan Desert landscape and Rio Grande. There are scenic overlooks and exhibits along the way, and the short walks to Sam Nail Ranch and Homer Wilson Ranch and a visit to the Castolon Historic District will give you a glimpse into Big Bend’s past. Wake up to the small of fresh coffee, and get ready for another exciting day of adventure. This isn’t an ordinary day, however. We’ll begin the day exploring some of the mountain trails, and end the day with a Star Party at the McDonald Observatory. 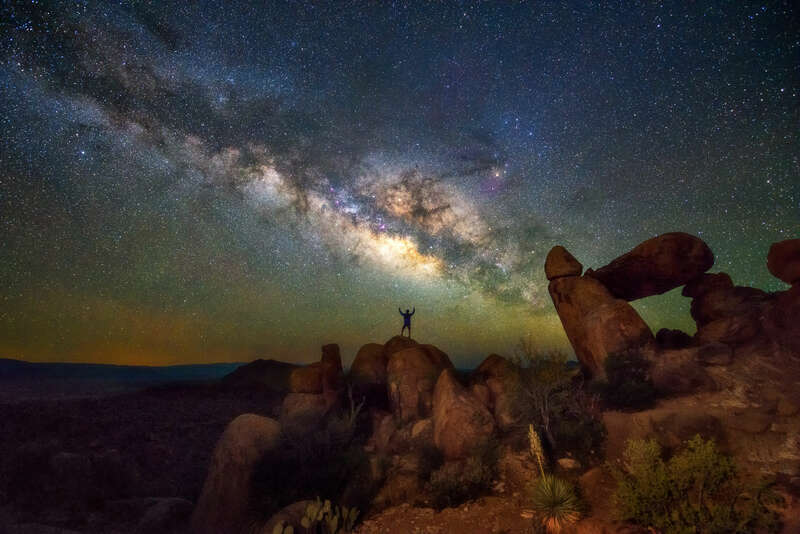 Enjoy night sky constellation tours and views of celestial objects through a number of telescopes (varying in size up to a 24-inch Ritchey–Chrétien telescope) in the Rebecca Gale Telescope Park. It’ll be a late night as we head back to camp and enjoy the glow of the fire, and maybe some more stargazing! After refueling with your favorite breakfast items, it’s off to Marfa, the famed artsy city of west Texas. We’ll arrive in Marfa around noon for some self-guided exploration after visiting the much-photographed Prada store in the desert (art installation). Then, we’ll meet up in the late afternoon for the trip back to camp. Want to explore more of Big Bend National Park or relax around camp instead of heading to Marfa? That’s A-OK. The trip to Marfa is optional. After a big day of adventuring or relaxing, it’s time for dinner and relaxing by the fire — another epic day in the books. Wake up will be a little earlier today so we can enjoy breakfast together and break down camp. Then it’s time to pack up and head back towards Austin Texas for an evening arrival (around 8p). Your flight is not included in the ticket price (major US airlines excellently priced flights to and from Austin, our pickup point). Plan to be at Hilton Austin Airport at 8:30am, and depart no earlier than 10pm on the last day of the event. We will drop off directly to the airport. Restrooms are a short walk from the campsite in the main camping area. Solar showers will be made available for use by all campers. If I’ve never camped before, should I still sign up? 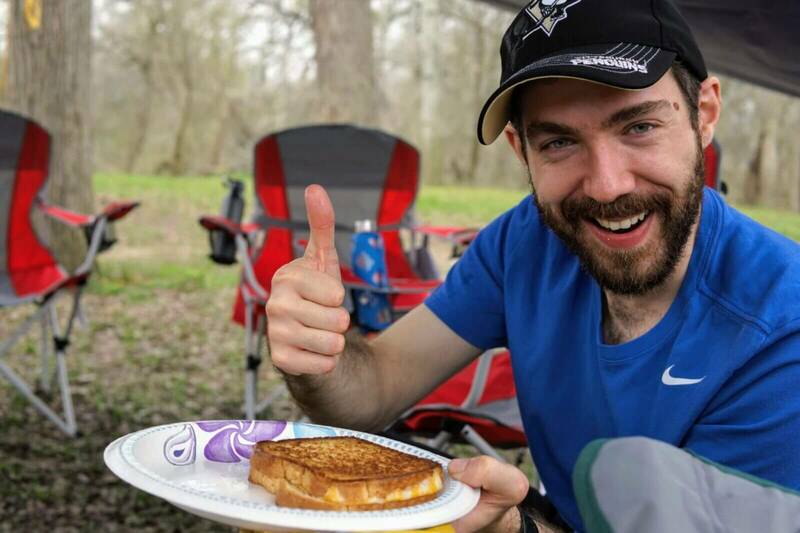 Most Geek Adventures camping trips have about a 50/50 mix of campers vs. people that have never camped. That mix creates a nice environment for learning how to camp for the first time. In short, beginners are welcome!